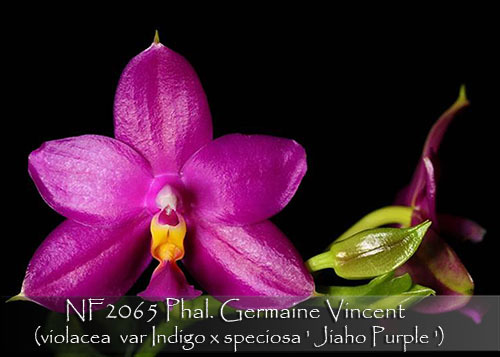 An exciting new re-make from the famed Mr. Huang of Jiaho Orchids ! 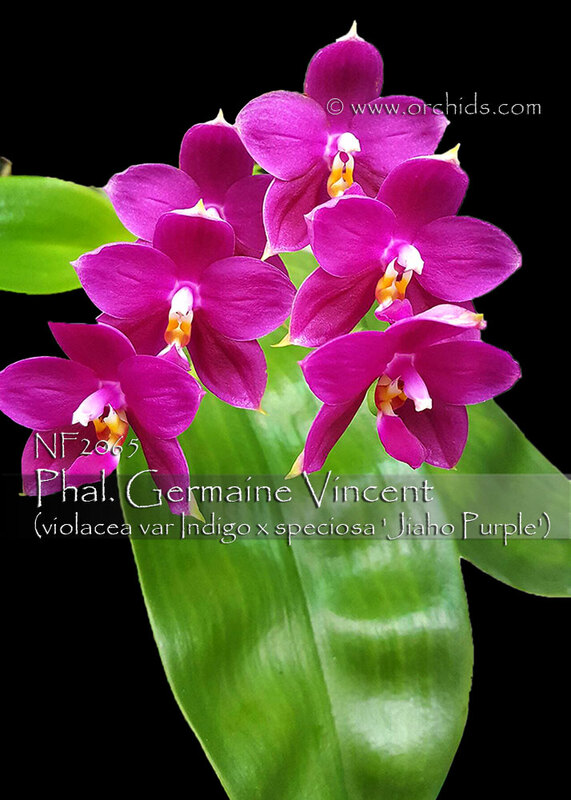 For this hybrid he used his select Phal. violacea var. indigo and mated it with his very dark reddish-purple Phal. speciosa. The result has been amazing color in fragrant, vigorous and free bloomers. If the spikes remain green, don’t remove them since they will continue to form additional buds while still producing new flower spikes. Very Highly Recommended !